The world is full of strange and mysterious wonders I can’t explain. 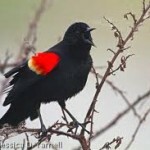 Among them are the mass deaths in flight of redwing blackbirds around the turn of the year. The most popular theory is that celebratory fireworks either shock them to death or confound their navigational apparatus, inclining them to collide with freight trains, power lines, each other. By why specifically in Arkansas and environs? It’s at least as mystifying, though less crucial, than the question of why the honeybees are disappearing and dying. I suspect our readers are nearly as mystified by at least one conundrum presented by the present policies of Shenandoah. Here we are – online, virtual, tree-friendly and updatable, but (most peculiarly) still doing two things usually associated with print journals: requiring physical submissions through the U. S. Mail, and paying our writers. On the second count, we’ve received no complaints. So long as our budget allows, we’ll continue to offer honoraria to contributors and to the winners of our annual best-of-the year prizes for Fiction, Poetry and Non-fiction published on shenandoahliterary.org. We also offer substantial awards ($500 each) for our newer prizes – The Graybeal-Gowen Poetry Prize for Virginia Writers (with submissions in the fall) and the Bevel Summers Prize for the Short Short Story (submissions considered in March: see our Prizes link), now in its second year. But back to that first enigma. Shenandoah is in mid-transition, still learning the labyrinthine tactics and counter-intuitive codes required to administer a site as complex as ours. It’s a trial-and-error process, and soon as we’ve “mastered” one aspect of the site, we come up with another bright idea to add nuances and feature fresh content between issues. But we do understand the perception of inconsistency: if we’re a web journal, why don’t we consider electronic submissions? We’re hoping to rectify this soon. Although we don’t want to close off the traditional “snail mail” method, we also intend to add an in-site electronic submission window which will allow us to receive, track, read and respond to submitted work through the miracle of the Internet. When we close to submissions at the end of the spring, we’ll take stock (and a deep breath) and start comparing (and customizing) the available formats to see what works best for us and our contributors. If you have suggestions, please make them in the Comment field below. Good news: as things stand now, we do not intend to charge a submission fee. 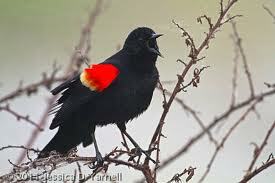 And we hope to have the submission system up and running before the blackbirds endure their next annual trauma. Maybe by then someone will have discovered the reason for their fall. In addition to the blog, you’ll notice that our site is honeycombed with Comment and Discussion boxes. We encourage reader feedback on both the matter and the manners of Shenandoah. If you’ve noticed our Words of Wisdom quotations at the bottom left of the homepage, you may have wondered who comes up with those aphorisms, non sequiturs and pithy remarks. Many have been supplied by readers, and we’d also welcome suggestions for features which appear on the homepage as surprises between issues. For Poems of the Week, we’re restricted to works in the popular domain, those which Shenandoah has rights to or poems whose authors we might contact via the internet for permission. That doesn’t mean we won’t entertain your nominations. Please let us hear from you with suggestions, and if you have any earthly idea about those redwings . . . .
Outlaws to the left of me, outlaws to the right of me . . . .